Clip/Clamp Jaw-Size Capacity -- all -- 1" 1/4" 1/4"; 3/8"; 5/8" 3/8" 3/8"; 5/8" 5/8"
Clip/Clamp Width -- all -- 1 1/4" 2" 3/4" 5/8"
Strong binder clips by Universal for permanent and temporary bindings. Universal binder clips feature sturdy, versatile handles that you can use to hang documents or fold flat against clipped material. You can even remove the handles for permanent binding. The triangular design provides incredibly strong holding and compression power, so you don't have to worry about losing your binder clips or any of your documents. 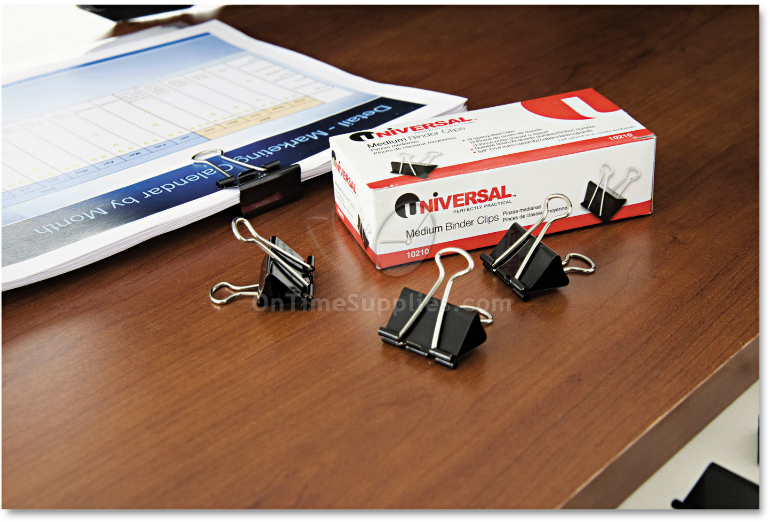 Choose from mini, small, medium & large binder clips. Whether you need to bind a few or a lot of paper, Universal makes a binder clip size just right for your project. Choose from mini 1/4" binder clips all the way up to the large 1" capacity clips. Thanks to our wholesale bulk pricing, you can get the binder clip sizes and quantity you need for the best price online. Ergonomics in the Workplace: how to repair an ergonomic keyboard. Lost the little feet that elevate your keyboard? 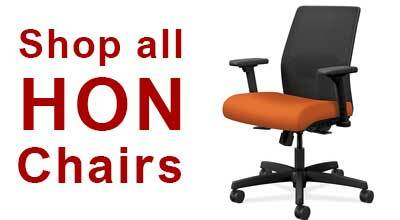 Those little plastic squares provided big boost to ergonomics in the workplace. Office Ink shows you how to replace them with a couple binder clips. The school year is in full swing. If you're already drowning in clutter, we can help. Check out these classroom organization tips from real teachers and learn how to keep your classroom clutter-free. Clip/Clamp Jaw-Size Capacity Available in: 1", 1/4", 1/4"; 3/8"; 5/8", 3/8", 3/8"; 5/8" or 5/8"
Clip/Clamp Width Available in: 1 1/4", 2", 3/4" or 5/8"
I saw the previous question concerning the compressive force in a 3/4 inch clip. How much compressive force is in 1 1/4" clips? UNV10210 1-1/4" Medium Binder Clips have a compressive force of 11 lbs. I was wandering what the compressive force of 3/4 inch binder clips is in lbs/inch? Thanks for your question about the Universal Small Binder Clips (3/4 inches). The compressive force for these clips is about 7.5 lbs. These clips are a great product at a great price. I hope you found this information helpful. UNV10199VP - Mini Binder Clips, Zip-Seal Bag contains only black mini binder clips. We do offer Item UNV31027, which contains a selection of colored mini binder clips: 12 Blue, 12 Gold, 12 Green, 12 Red, 12 White. These are 5/8" capacity mini binder clips offered in an assortment pack. The clips are not sold by individual colors. Shipping was extremely fast, two days to Colorado. Was exactly what we have been using but at 25% of the price we have paid in the past. I was very satisfied with everything. From the ordering process online to the receipt of my product. The clips are exactly the size I needed. I really enjoy using these MINI binder clips!!! The ONLY thing that could make them better would be to have them this inexpensive and offer them in multiple colors and designs!!! This is the size that would be deemed "TINY!" These are very, very small and could easily take the place of a paper clip. If you have ever tried to use paper clips to hold a report or any set of papers that is important, but has very few pages, then this is what you need!!! These binder clips keep your important papers from coming apart. These come in all sizes!!! So check them out!!! These are binder clips. If you have ever tried to use paper clips to hold a report or any set of papers that are very large, and had to use multiple paper clips, you need to order these!!! These binder clips keep your reports, tax papers, music papers, etc from coming apart. These come in all sizes!!! So check them out!!! Great deal for my use! Much cheaper than Amazon even with paying shipping. I needed over 900 binder clips for a project and it was going to cost nearly 3 times more going other places. I've been through three bags so far and found just one defective clip. The counts in the bag are accurate. My daughter who is a preschool teacher has already tried to "borrow" a bag or two! This was my first time shopping with OnTimeSupplies.com and was impressed with the fast turn around time. Delivery was delayed by a day for some reason but that was the shipper's fault. I will be a return customer! The binder clips work great. 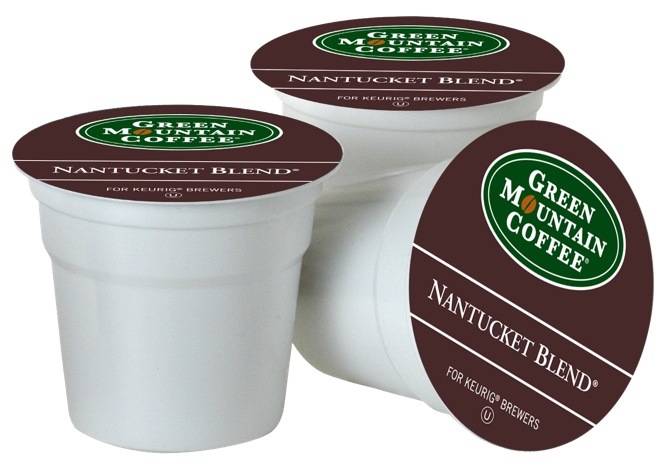 Just wish you could order them in bulk instead of small packs.